The Potomac Two-Step: Imran Awan Allowed To Escape any Charges That Would Implicate Congress…. Imran Awan pleaded guilty today to one count of bank fraud. However, all of the more serious charges; that were based on intelligence compromises and national security; and that naturally would implicate members of congress; were dropped and dispatched by federal prosecutors. 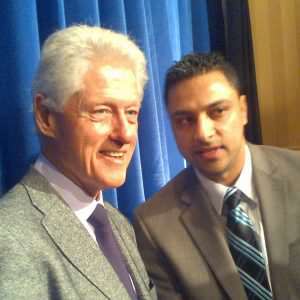 (Via Daily Caller) An assistant US attorney said Tuesday he would not prosecute Imran Awan, a former systems administrator for Rep. Debbie Wasserman Schultz and other Democrats, for any crimes on Capitol Hill in a plea agreement that had him plead guilty to one count of bank fraud. The Washington DC UniParty Flak, Chaff and Countermeasures Strategy…. A “Countermeasure” is a measure or action taken to counter or offset another one. Politically speaking, the deployment of countermeasures is a tactic used by professional politicians in Washington DC to counter incoming public inquiry and protect themselves from anger expressed by the electorate. Weaponized government takes action and creates victims. Beyond the strategy – the countermeasures are politicians assigned a role to control the incoming righteous inquiry from voters who find out about the weaponized or corrupt governmental action. 1.) The electorate become aware of a political issue or action; often illegal. 2.) The electorate become angry. 3.) DC needs to protect itself. 4.) Countermeasures are assigned and deployed to delay, obfuscate and create the illusion of investigation of the illegal governmental action. The countermeasures are deployed to act as shiny distractions keeping the larger electorate satisfied something is being done. Countermeasures are designed to create investigations that go nowhere. The goal is not resolution or justice; the goal is to deflect, create distraction and eventually dilute/diminish the outrage over time. Keep kicking the can until it rusts and simply falls apart. Nothing to see here. Move along, move along now folks. The political system in Washington DC has become so massive it is now capable of protecting itself. Any attempt to reduce the influence, scope or size of the system is considered a risk. The system is, in essence, protecting itself. Deep State is self-aware. Political countermeasures are now deployed as human articles of self-preservation. This entry was posted in Government and tagged Government Corruption, Imran Awan on July 3, 2018 by Bone Fish.